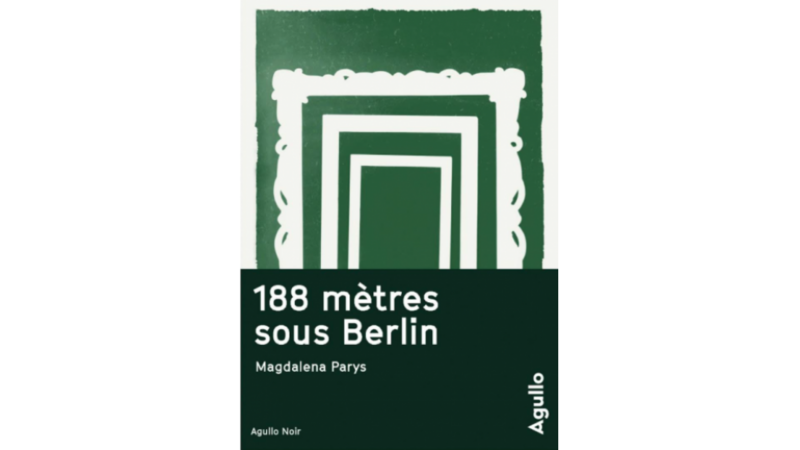 Magdalena Parys received the Literary Award of the City of Quimper for the novel Tunel (‘Tunnel’), which was published last year in French under the title 188 mètres sous Berlin. The publication of the novel was supported by The Polish Book Institute as part of the © POLAND Translation Programme. The theme of this year’s edition of the award was ‘The City’. The initial selection of books with an urban theme was made by the librarians of the public reading network of Quimper Bretagne Occidentale, out of which a jury selected a dozen titles. Among the selection, four novels distinguished themselves by the quality of their writing and depiction of the city, becoming full-fledged candidates in pursuit of the award. After thorough discussions, the choice was reduced to two very enticing books, ambitious, with demanding writing but with distinct styles and atmospheres. On Saturday 9th June, a jury composed of Clara Arnaud (author and laureate of the 2016 literary award), Éric Auphan (teacher), Véronique Blanc (bookseller), Florence Piriou (deputy director of SOFIA - the French society defending the interests of authors of written word), and Renée Vennegues (teacher and president of Théâtre de Cornouaille) decided to honour the novel by Magdalena Parys. The author, of Polish origin and living in Berlin, chose for her first novel a text in the form of an inquiry. Throughout the story, the reader gathers the keys to an understanding of the dual city of Berlin. Written and published in Polish in 2011, the text was only translated into French in 2017 (Agullo editions). The award ceremony will take place in September at the Quimper Town Hall in the presence of the jury and translators. The prize amounts to 1,500 euros and will be given to the writer as well as to the pair of translators: Margot Carlier and Caroline Raszki Dewez.